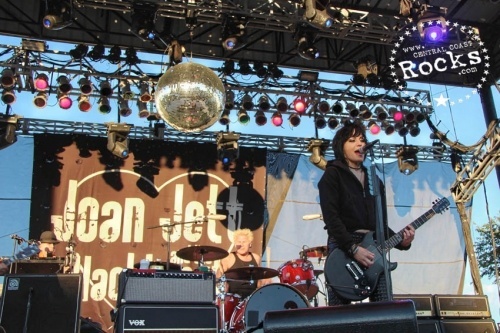 Joan Jett & The Blackhearts AND Paul Rodgers Rock The Calif. Mid State Fair ! 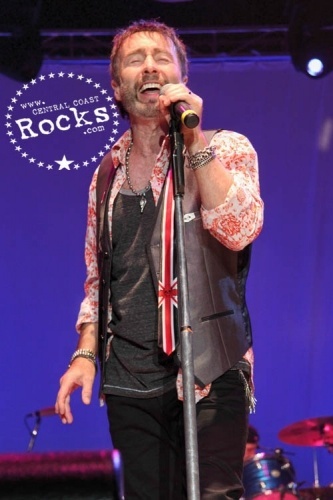 Two musical icons joined forces for one special night at the California Mid State Fair in Paso Robles when Joan Jett and The Blackhearts AND Paul Rodgers brought Rock and Roll to the Central Coast in full force. Real guitars, real drums, no canned vocal tracks or backup dancers, both bands brought only great songs that have touched generations of fans while also staying current and stylish. 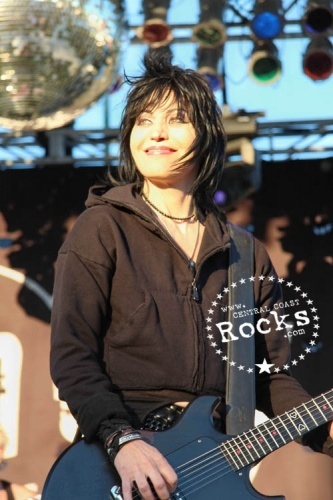 Jett’s opening set was kicked off with her signature “Bad Reputation,” which had the packed crowd rocking from the first notes. 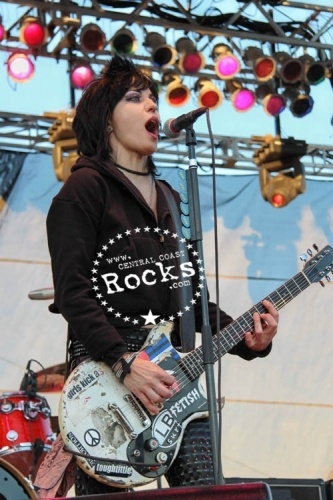 Never one to rest on her past success and grow stale, Jett’s set list was evidence of her musical validity through the decades. 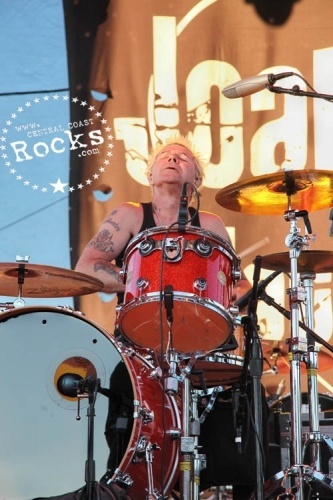 Monster hits “I Love Rock n Roll,” and “I Hate Myself for Loving You,” from the 80’s were side by side with “Naked,” and “AC/DC” from 2006’s “Sinner” CD, arguably the former runaway’s finest collection. Two brand new songs were also introduced, “Reality Mentality,” and the hook filled sing-along “TMI,” (To Much Info) which is an ode to today’s instant sharing of needless information in the digital age. “We’re making a new record. We’ve got about seven songs done. 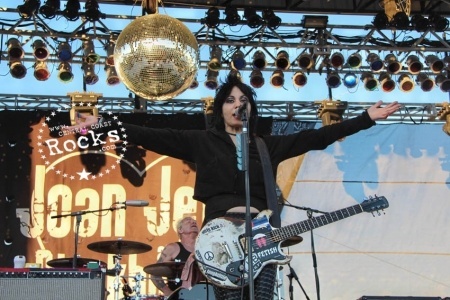 Joan’s writing a lot of it with the band and some other very famous surprises,” Joan’s longtime partner and collaborator Kenny Laguna told us before the show. 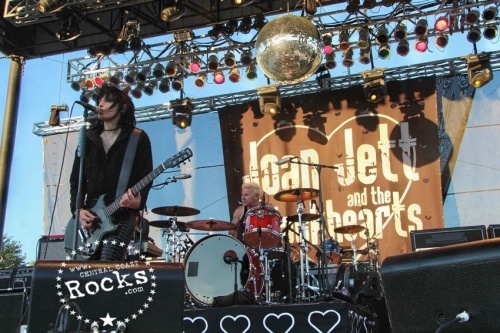 Also look for a big tour announcement from Joan and The blackhearts for next year as they finish up the new record and shows scheduled for this year. 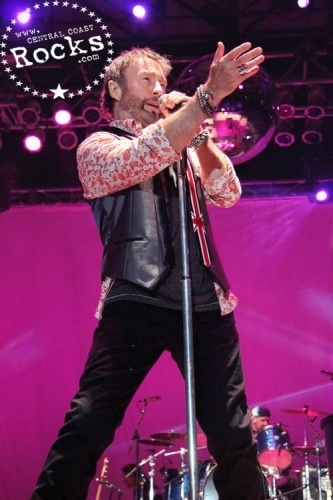 Paul Rodgers has been dubbed, “The Voice” by critics and fans alike, leading four bands to international success. Rodgers first shot up the international radio charts with his single “All Right Now” with Free. 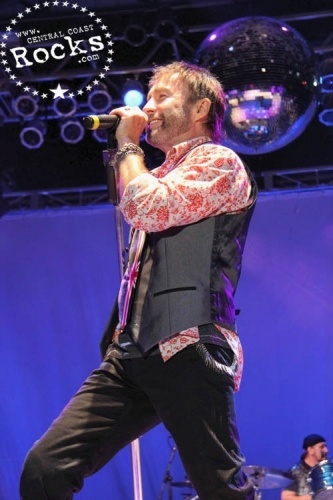 He is most well known for his time with the band Bad Company and smash hits like Grammy nominated “Feel Like Making Love,” “Can’t Get Enough,” “Shooting Star,” and “Bad Company.” He went on to front the rock bands The Law and The Firm. 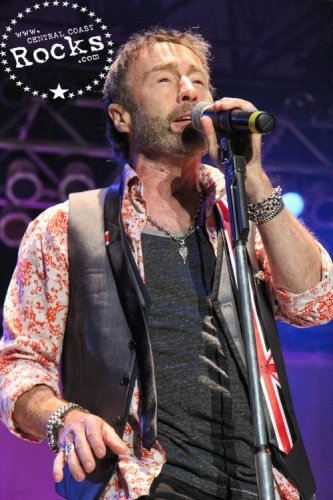 In 1999 Paul Rodgers won the “Lifetime Achievement Award” from the Los Angeles Music Awards Association. 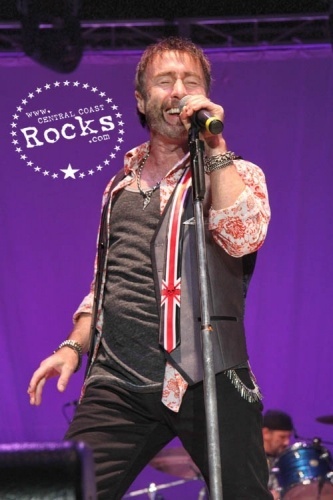 Closing the show, Rogers casually strode on stage wearing a grin from ear to ear as he and his band launched into “Cant Get Enough,” the Bad Company classic from the group’s debut album. A pleasant surprise in the set was “Satisfaction Guaranteed,” a soulful rock tune from Rodger’s and Jimmy Pages group The Firm, which also featured Drummer Chris Slade and Bass player Tony Franklin. 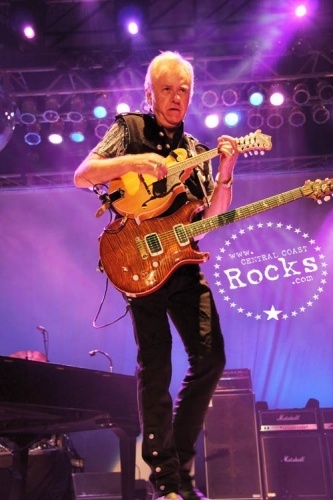 Effortlessly delivering a charismatic performance and mike-stand showmanship, the front man showed everyone in attendance he still enjoys what he does and that Rock Royalty and great songs will never go out of style. 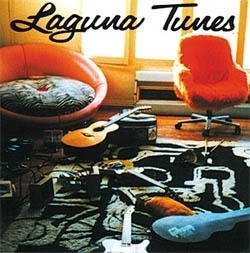 Kenny Laguna is a long time member of the music community, as performer, songwriter, and producer. His body of work spans many genres, demonstrating his versatility and ability to create artist appropriate music. Through his multifaceted talent, his style is always apparent. To music insiders and artists alike, Kenny Laguna’s name is legendary. 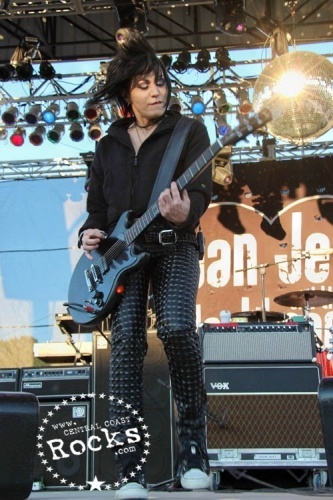 He has been with Joan Jett from the start of her solo career as a producer, co-collaborator, and musician. 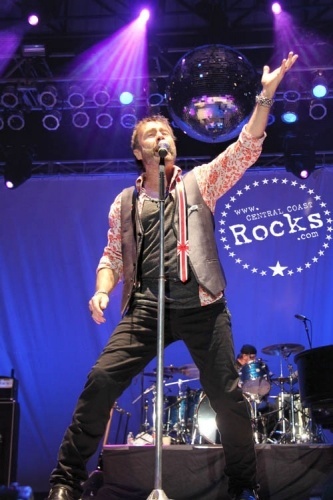 CentralCoastRocks.com: You started your career as a performer, having hits with music greats The Ohio Express and The Lemmon Peppers, Tell us about breaking into the music business at such a young age. Kenny Laguna: Well, I was very lucky because of the geography. I grew up in New York and when I was 12, 13 I ran into some guys and I got a gig. The WMCA “Good Guys,” they were a famous Top-40 Station but they were also playing the early Rock n Roll. I remember one of the shows, it would be The Shangri-La’s, The Regents, who had the song “Barbara Ann,” cause the Beach Boys didn’t have the first version. I was doing that and then I went up to The Catskills and met Tony Orlando and Screamin' Jay Hawkins, and the name of the game was to hustle around the Tin Pan Ally, which was the Brill Building at 1650 Broadway, and I did it. Then one day a guy listened to my Demo and offered me a job at Kama Sutra Records. I did take that gig as a songwriter for Kama Sutra. I sat around with these great, great guys who were all monster writers and producers. That’s how I got started. 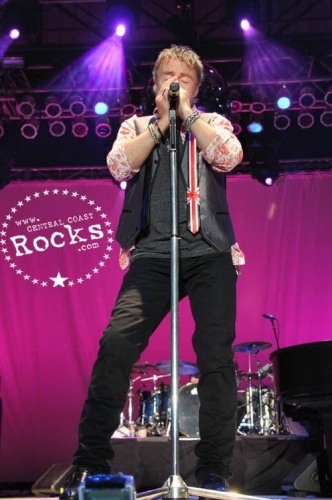 CentralCoastRocks.com: You’ve produced Tony Orlando, Jay and The America’s and of course Joan Jett. What are some of your favorite memories of being in the studio? Kenny Laguna: There’s so many. But recently I had the recollection that me and my friend Peter went in and sang on Barbra Streisand’s Stoney End record. They had like run out of money and time (Laughs) and we went in there and finished up, and Barbra Streisand was there. That was a good one. As I look back, Don Ho, Barbra Streisand, Johnny Mathis. The idea was I got in it for Rock n Roll and I got sidelined with Bubblegum Music, which is kinda Rock n Roll with nursery rhymes. When Bubblegum died I lucked out when the original manager and producer of The Who, Peter Meaden adopted me and my friend Pete Anderson and we went to England where we weren’t has-beens, so we were right back in the game, cause in England they liked Bubblegum Music, which FM Radio in America did not like at all. In England Punk started happening, the Punks loved Bubblegum Music, and hated Crosby, Stills and Nash (Laughs) so I was definitely at the right place. Again, geography. 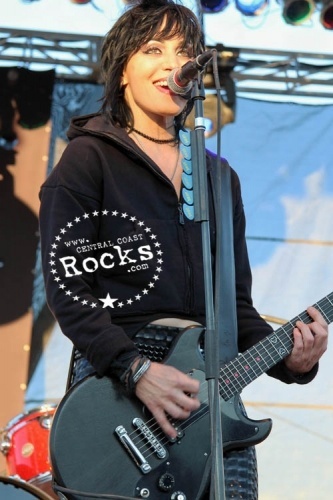 CentralCoastRocks.com: You and Joan have had a long standing partnership; you have been there from the start of her solo career as a producer, co-collaborator and musician. 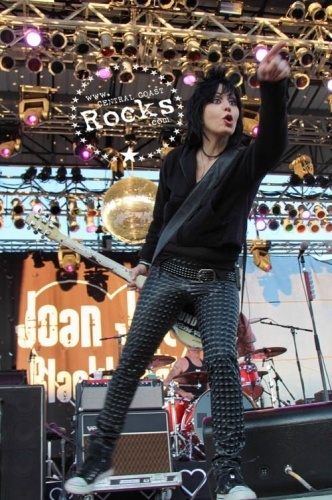 Joan was basically turned down by every major record label, which led you to start up Blackheart Records. Tell us about those early days starting out. You were basically selling records out of your trunk. Kenny Laguna: Well, we were very lucky that we got a record deal in Europe with a different company Areola , which was part of Arista, was just Europe, and then Scandinavia was Polygram, who had The Runaways. I had borrowed the money from The Who to pay for the record and we got the money back from that Europe deal. Then when I came to America I thought it would be easy to get a deal for the first album, which became Bad Reputation. We couldn’t get a deal. A couple companies were interested but not really. Then we were desperate so I couldn’t think of anything to do. 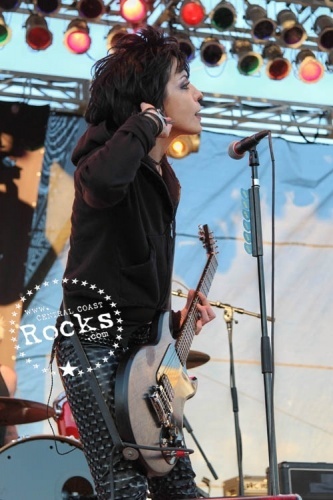 Then we find out that our record was the #1 Import, Rock Record in America. So I borrowed some money and printed up a bunch of records and like you say, kept them in the back of my big Cadillac. We kept the records in the back of the Cadillac and we would deliver them. Crazy Eddie used to give us cash, that was a big chain in New York. We went to these guys near Kennedy Airport, IMPORTant Records, they were doing all the Imports. I said, I’ll undersell, what are you paying for the European ones, I’ll give you these for $2.50 a unit because I didn’t have any intention of paying royalties. I didn’t even know about it and things like that. So I made a deal with them and that was their first big hit record. They are now called R.E.D., they became Radioactivity, and then they became part of Sony, so now they’re a big deal. So that’s how that all started. 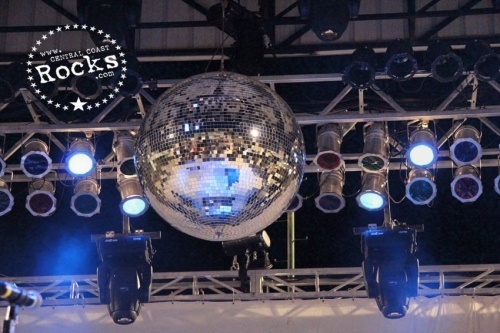 CentralCoastRocks.com: Blackheart Records is still thriving and current with the times. What has your record company done to make that happen when others could not? What young bands on the roster are you excited about? Kenny Laguna: We hired young people and that made a big difference. Carrie Ann took over the head of it in her mid twenties, and for the last eight, nine years we’ve had young people helping us make adjustments because of the digital and viral marketing and how things are done now as opposed to just heading straight to top 40 Radio. Some of its luck. Joanie has some really cool songs that remain current like “Bad Reputation,” songs like that. “Cherry Bomb,” that continue to keep the label relevant. Then we lucked out with a great band called Girl In A Coma, who are doing really good, we’re selling a lot of records with them and I’m pretty sure they will have their breakout hit at some point. They just keep growing and growing. 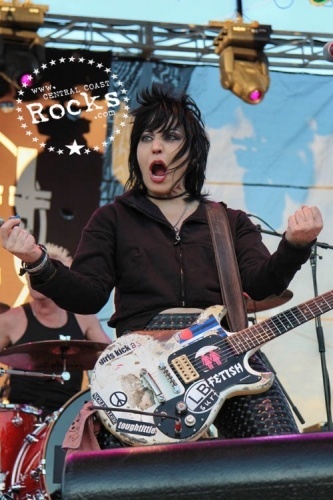 We do really well with a group called The Dollyrots. One of the children of The Kinks, one of the Davis’s is on our label, she’s been working on the album for five years (Laughs), but we expect that to be a blockbuster. 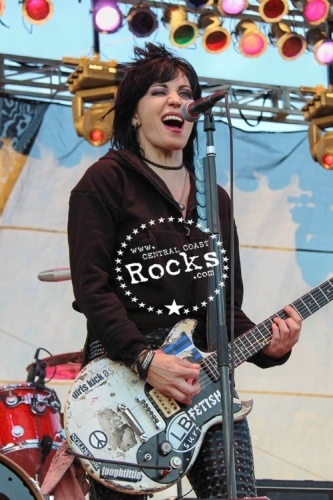 CentralCoastRocks.com: You’ve been touring with Joan for some time, what shows stand out for you and Joan over the years? 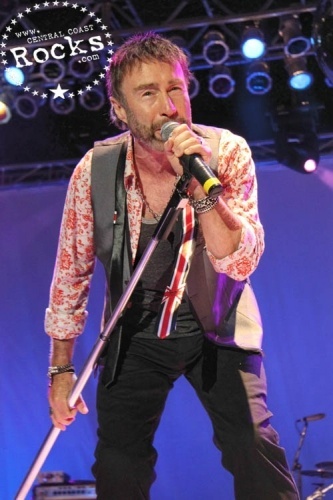 Kenny Laguna: Shea Stadium with The Police and R.E.M. was a great one. There was a New Years Eve show at a club called The Ritz in New York, which is now Webster Hall, awesome show. Sold Out to the gills, lines around the block. Malibu Beach Club in Long Island when they had to close highways 10 Miles away in 1980. That was fantastic. This year in Brazil with The Foo Fighters in front of 100,000 People. Awesome, Joan was Clickin. 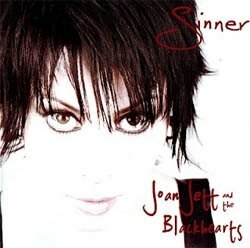 CentralCoastRocks.com: Joan’s latest CD “Sinner” was released in 2006, it’s got some amazing songs on it. (Riddles, Naked, Everyone Knows, Change The World, Bad Time) What are your favorites from the disc? Kenny Laguna: “AC/DC,” “Androgynous,” “Change The World” is great, we did a video for that. “Naked” goes over so well live, you’ll see it tonight. 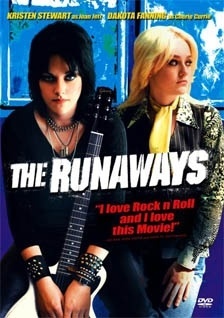 CentralCoastRocks.com: The Runaways movie was released in 2010 to critical acclaim. As executive producer, what inspired you to bring the story to the big screen? 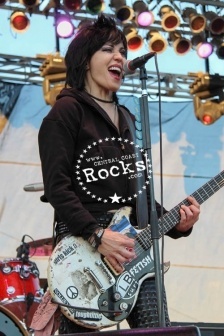 Kenny Laguna: A lot of people, including the other Runaways were talking about doing a documentary on The Runaways. I didn’t love that, I said I think it’s a movie. Every now and then you get a dream and I headed for it. I hired a writer named JT Leroy who was supposed to be a 16 year old runaway so to speak, who ran into tough times with HIV. Turned out to be two women running a hoax, so that was a setback (Laughs,) because then all my producers I had lined up got turned off. But then I ran into Art Linson, who’s a good filmmaker. Tough guy to work with but a good filmmaker, and Bill Pohlad who’s a pretty nice guy, with billions of dollars. He did Brokeback Mountain and some other things. I thought it was a good story, I always thought the story of Joan was a good one and I think that someday we’ll do the next one which will be about Joan’s career. 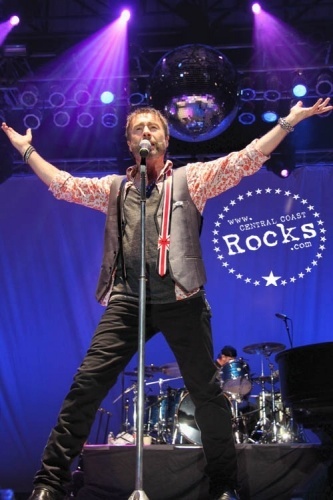 CentralCoastRocks.com: You and Joan have been longtime supporters of America’s troops, tell us about your relationship with them, and how do you feel about the current administration and election coming up? Kenny Laguna: I grew up in an era when you got drafted so I was drafted, and after six months the record company manuevered me out of the service. I took that opportunity which I’ve been conflicted about for the rest of my life. An officer said to me “Don’t Forget These Guys,” that you’re leaving behind. And I never did. I always went back, during the Vietnam War I went to bases. I’ve been doing that in every band I’m in. Joan’s really supportive of the troops. Whenever we went around the world, wherever we were near an American Base we had such support from our guys at the Military Bases and developed an amazing relationship. We’ve seen guys start mid level Officership then become Generals and be in The Pentagon, it’s something we’re really proud of. We keep it kind of quiet. I don’t keep it quiet, Joan does. (Smiles) As far as the administration, I like what the Democrats are doing and I hope everybody votes for the Democrats because they are going to keep the Middle Class in the game. I think what’s happened to the Republican Party, they’ve been overtaken by corporate entities. Just as the great republican Dwight Eisenhower warned us. I get a sense that Romney has an international outlook. He’s a great businessman, he’s not a great economist. They’re trying to sell us that he understands economy because he made money, but making money and being a good businessman is not being a good economist and understanding the world. Right now as we speak he’s been at The Olympics making a mess of everything. He’s just not qualified and he’s not a guy who cares about little people. He doesn’t understand it. He doesn’t understand what it’s like to struggle to pay your bills. He said, listen we can’t have the Government help pay for College, just ask your parents for the money like he did. He really said that. Because he doesn’t understand, it’s so foreign to him. Like one of my friends who helped pay for the movie, we met at an airport. It was the first time he was at the airport because he’d always flown from a private airport! There are people who have a frame of reference that’s so peculiar to people like me because I grew up in pretty modest beginnings. I knew what it was like when my Father didn’t know where the rent was coming from. These guys are clueless about it. They just don’t understand that it’s for real. 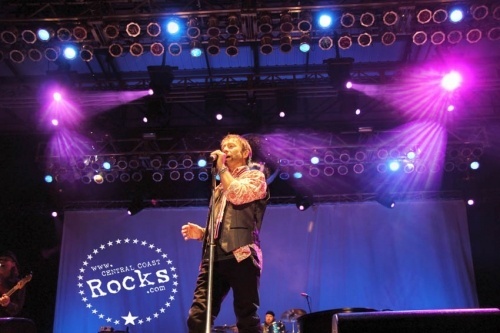 CentralCoastRocks.com: Plans for the rest of the year and beyond? Kenny Laguna: Well, we’re making a new record. We’ve got about seven songs done. 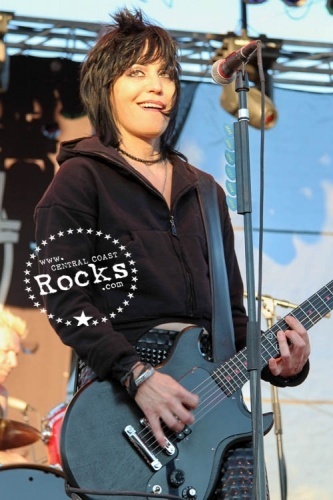 Joan’s writing a lot of it with the band and some other very famous surprises (Smiles), that’s a big plan. We have a big tour scheduled for next year, I can’t say who it is yet. We hope to keep working with The Foo Fighters and Green Day because that was really special. Kenny Laguna: Give the Democrats a chance. Kenny Laguna's vast career can not merely be summed by this small collection of words.The diversity and great expanse of his body of his work is well documented as well as his acute understanding of music and the artists he produces. 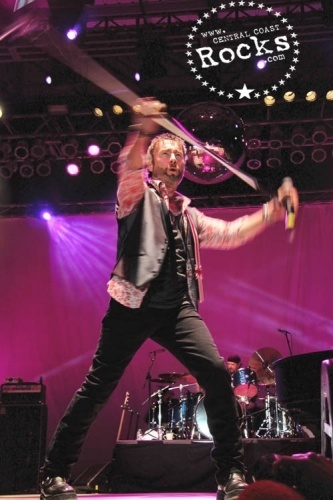 He is a true survivor of a business that claims many musical souls without mercy. 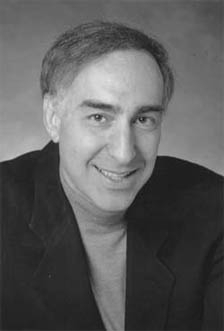 The survival is based on his versatility and talent, which he poignantly demonstrates on every note he produces.